Shayne Thomas Ward (born 16 October 1984) is an English pop singer who rose to fame as the winner of the second series of The X Factor. He has sold over three million records worldwide and has had number one albums and singles in nine countries. His first single, "That's My Goal", was released in the United Kingdom on 21 December 2005 and became the last number one of 2005, hitting the top spot on 31 December. It sold 313,000 copies on its first day of sales, making it the third fastest selling single of all time, behind Elton John's "Candle in the Wind" and Will Young's "Evergreen", which sold 685,000 and 400,000 copies in their first days of sale respectively. Ward's prize, as winner, was a recording contract with Simon Cowell's Syco record label, which is co-owned by Sony Music Entertainment. The contract had a stated value of £1 million, of which £150,000 was a cash advance and the remainder was allocated to recording and marketing costs. In 2011 it was confirmed that Ward had been dropped by SYCO after six years. Ward has yet to secure another record deal. On 18 December 2012 it was confirmed Ward would appear in Dancing On Ice which started on 6 January 2013. Early life edit: Ward was born in Clayton, Greater Manchester to Irish Traveller parents Martin and Philomena. He has a twin sister named Emma and five other siblings: Mark, Martin, Michael, Lisa and Leona. He is a Manchester United supporter, and in 2002 he reached the final thirty of Popstars: The Rivals, the television show that created Girls Aloud. Prior to his participation in The X Factor, Ward was in a band called Destiny with two women named Tracy Murphy and Tracey Lyle, performing at pubs, clubs and weddings. Ward has been in a relationship with Faye McKeever since 2003. The couple got engaged on their nine-year anniversary in September 2012. Career edit: 2005: The X Factor edit: In early 2005, Ward auditioned for the second series of The X Factor. He impressed all three judges (Simon Cowell, Sharon Osbourne and Louis Walsh) and passed through to the next round. His category (16 to 24 year olds) was then mentored by Walsh, and Ward was chosen to be among Walsh's top four contestants and perform on the live shows. Ward quickly became the bookmakers' favourite to win the show, and after making it to the grand final, he defeated Simon Cowell's duo Journey South and Sharon Osbourne's over-25 singer Andy Abraham and was crowned as the winner of The X Factor 2005. He had not fallen into the bottom two throughout the entire competition, and won by a margin of 1.2% of the vote, out of a reported 10.8 million phone votes cast by viewers. Immediately after the competition, his X Factor mentor Louis Walsh became his manager under a joint venture with Global Publishing and Walsh Global Management. Table showing songs performed by Ward on The X Factor and the results Week Song Result Audition "Sacrifice" To final 24 Week 1 "Right Here Waiting" Safe Week 2 "If You're Not the One" Safe Week 3 "Summer of '69" Safe Week 4 "You Make Me Feel Brand New" Safe Week 5 "Cry Me a River" Safe Week 6 "A Million Love Songs" Safe Week 7 "I Believe in a Thing Called Love" Safe Week 8 "Careless Whisper" Safe "Take Your Mama" Semi-final "If Tomorrow Never Comes" Safe "Unchained Melody" Final "If You're Not the One" Winner "When a Child Is Born" "Over the Rainbow" "That's My Goal" 2006-07: Breakthrough and Shayne Ward edit: Immediately after his victory on The X Factor, Ward signed a recording contract with Syco Music and his first single, "That's My Goal", was released in the UK on Wednesday, 21 December 2005. After selling 742,000 copies in the first week, including 313,000 on its first day, it became the Christmas number one single of 2005, held the top spot for four weeks and stayed in the top 75 until June 2006, a 21-week run. It became, at that time the fourth fastest-selling UK single of all time, beaten only by Elton John's "Candle in the Wind", Will Young's "Anything Is Possible/Evergreen", and Gareth Gates' "Unchained Melody" which sold 685,000, 403,000 and 335,000 copies in their first days of sale respectively. To date, "That's My Goal" has sold over 1.3 million copies in the UK. Ward also won an Ivor Nevello Award for being the Best Selling Single. Ward's second single, "No Promises", a cover of a Bryan Rice song was released on 10 April 2006, and peaked at number two in the UK Singles Chart. 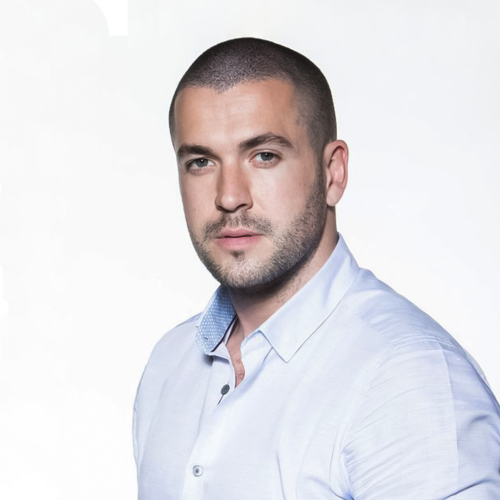 Shayne Ward, his self-titled debut album was released on 17 April 2006. It sold 201,266 copies in the first week and entered the albums chart at number one. To date, the album has sold 520,000 copies in the UK and a further 2,000,000 worldwide, reaching number one in eight other countries. The album was certified platinum. Ward's third single "Stand by Me" failed to make the chart impact of the previous two, entering and peaking in the UK Singles Chart at number fourteen. It fared slightly better in the Irish charts however, reaching number nine. It was confirmed in Gary Barlow's autobiography My Take, that in 2006, fellow Take That member, Jason Orange threatened to quit the band, and Ward was seriously considered as his replacement. Orange, however, later changed his mind and a replacement was not required. In August 2006, it was reported that Ward had developed vocal cord nodules - the same condition that stopped the singing career of Julie Andrews - and was to be flown out to Los Angeles in early September to see a specialist surgeon. His manager, Louis Walsh, released a statement that he was confident Ward would be fine and would be back at work by the end of the month. Ward had successful treatment and was indeed able to return to his singing career. In November 2006, he released his autobiography entitled My Story. He travelled to several places around the UK for book signings, which hundreds of people attended. In early 2007, Ward embarked on a solo tour of UK & Republic of Ireland venues, taking in eighteen concerts in twenty-eight days from late January to mid-February. The tour commenced in Dublin on 21 January and ended in Birmingham on 17 February 2007. 2007-11: Breathless and Obsession edit: After the completion of his successful debut tour, Ward's fourth single and first from his second album, "If That's OK with You" was given a release date of 20 August 2007, but was then delayed and became a double A-side single with "No U Hang Up". It was finally released on 24 September 2007, and charted at number two in the UK being held off by the Sugababes with "About You Now". "No U Hang Up" and "If That's OK with You" charted separately in Ireland, the former reaching number eleven and the latter entering at number one. Ward's second album, Breathless, was released on 26 November 2007, and after selling over 95,000 copies in its first week, debuted at number two on the UK Albums Chart, held off the top spot by his X Factor successor, Leona Lewis's, multi-platinum selling debut, Spirit. In Ireland, the album debuted at number one, removing Lewis's album from the top spot, a position it held for three weeks, and was later certified five times platinum. The second single from Ward's album was announced as "Breathless", and was released on 19 November 2007. It peaked at number six in the UK and number two in Ireland. On 10 November, Ward performed "Breathless" on the live results show of the fourth series of The X Factor, although the single was not available for download until 18 November, followed by a performance on The Paul O'Grady Show on 19 November. In the UK the album has been certified platinum with sales of over 450,000. In May 2008 Ward embarked on his month-long UK tour named The Breathless Tour 2008. He made his stage debut at London's O2 Arena and visited his home town Manchester at the MEN Arena. He also performed his complete show as a support act for Westlife's 2008 tour in front of a crowd of over 80,000 at Ireland's Croke Park. Ward also played on the opening night at The O2, Dublin, at the Cheerios Childline concert on 16 December 2008. Simon Cowell refused to release any further music by Ward for three years in favour of Leona Lewis and Susan Boyle, prompting manager Louis Walsh to stop managing Ward. Ward began working on his third album in 2009 with producers RedOne and Taio Cruz. The album, titled Obsession, was released on 15 November 2010. The singer worked with songwriters such as Savan Kotecha, Quiz & Larossi and Lucas Secon, while the songs produced by RedOne and Taio Cruz will not be included. The first single from the album is a cover version of Nickelback's 2008 single, "Gotta Be Somebody".Ward's version was released on 7 November 2010 and reached number 12 in the UK and number 10 in Ireland. The video for the song premiered on 29 October 2010 and he performed the song on The X Factor on 7 November. Shayne also performed at the Miss World Pageant, which was held in Sanya, China. He did his first television appearance in over two years, on Live From Studio Five the day after his X Factor appearance, where he also performed his single. The album reached number 11 in Ireland on 19 November and peaked at number 15 in the UK on 21 November. On 8 March 2011, Shayne performed the title track from the album Obsession on The Alan Titchmarsh Show. In an interview with Digital Spy Ward stated that he hoped he could release a second single from the album. On 19 April 2011, it was reported that Syco Music had not renewed their recording contract with Ward due to the chart performance of Obsession. Ward later responded to the label's decision on his Twitter profile writing, "1 door closed, A Thousand more will open." 2011-present: Rock of Ages and Dancing On Ice edit: On 9 June 2011, it was announced that Ward would star as Stacee Jaxx in 80s-themed musical Rock of Ages at the Shaftesbury Theatre, London. For this role, Ward received a nomination for The DEWYNTERS London Newcomer of the Year award from the 2012 What's On Stage Awards. He has since announced that he will be returning to the studio in September 2012, after his contract with Rock of Ages ends. In January 2013, Ward became one of twelve celebrities participating in the eighth series of Dancing on Ice, with skating partner Maria Filippov, they were eliminated on the fifth round episode.